This unique Weave Mezuzah with Patina is enhanced by the story of those who created it. 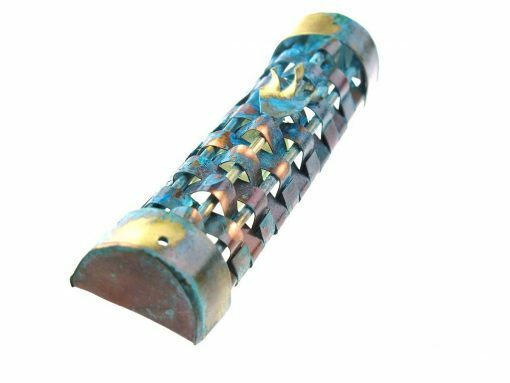 Two employees with autism on staff at the Gary Rosenthal collection contribute on a daily basis to the studio?s fine artwork. 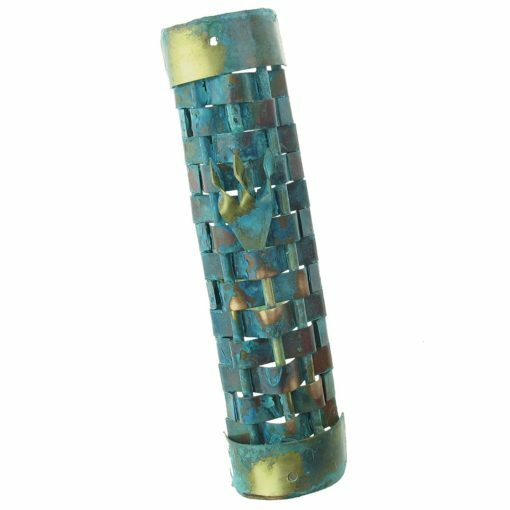 One of them, Tim, enjoys the task of weaving copper strips into mesh that the other artist can fabricate into this wonderful mezuzah. 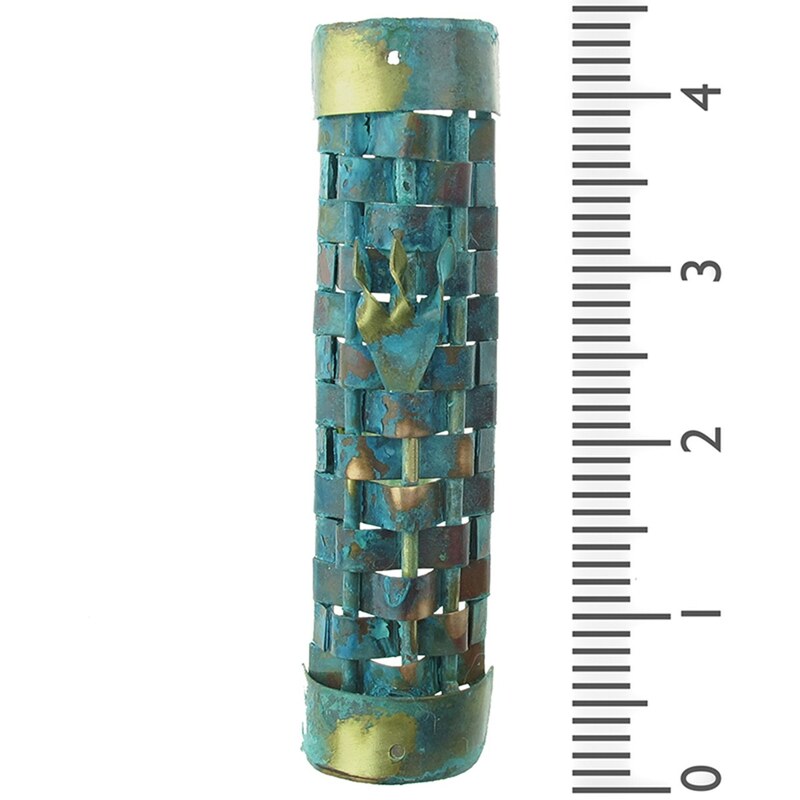 He loves the precise operation of weaving, a skill at which he excels, and is very proud of the finished product. 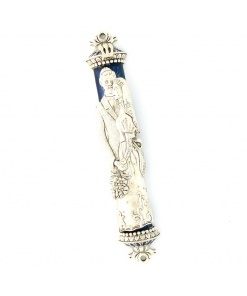 The Gary Rosenthal Collection is pleased to be a company that combines business, art and social responsibility. 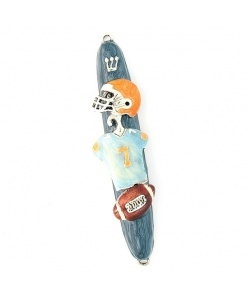 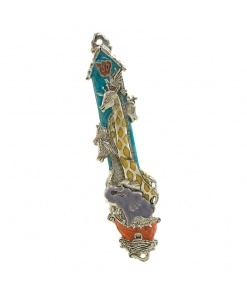 The purchase of this piece helps them to continue in that direction now and in the future. 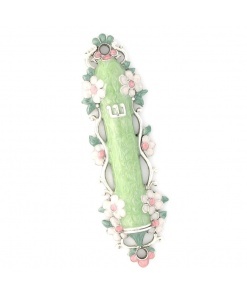 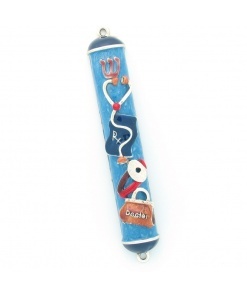 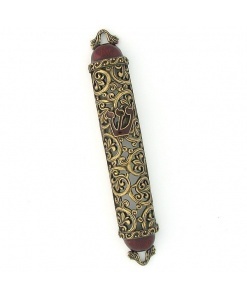 This Mezuzah has two scroll size options; Medium (4″) and Extra Small (2.3″). 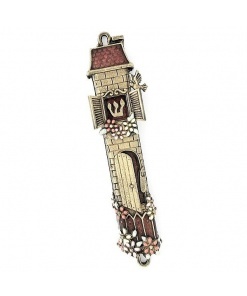 The Medium size scroll will fit the mezuzah but will not be waterproof. 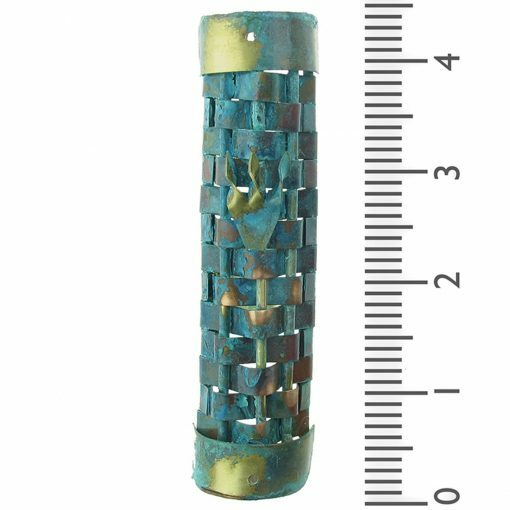 The Extra small size scroll will come enclosed in a cork sealed glass tube.